/About My Account /How do I change my password? To change your password, log in to your account and click on the Account icon at the top right of the page and select “My Account” from the drop-down. This will bring you to your Account’s Dashboard. Click on “Settings” in the toolbar on the left side of the page. 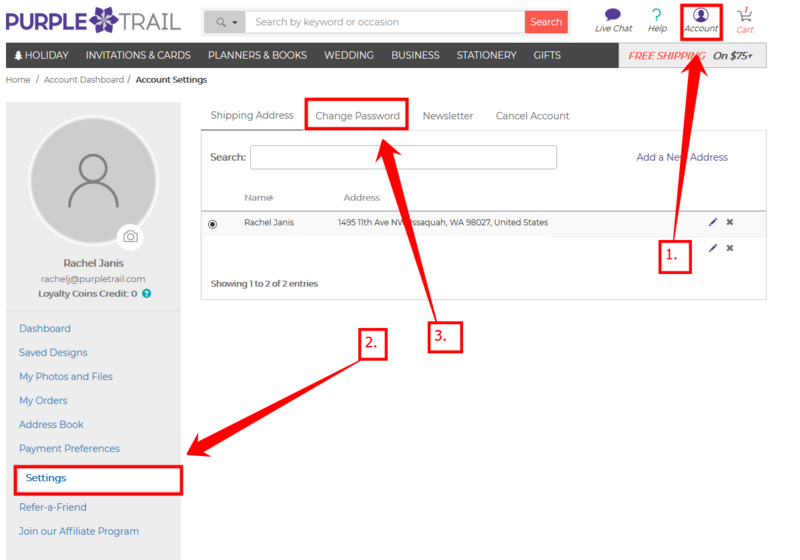 On the next page, click on the link “Change Password” next to Shipping Address.